“In the process, global warming enthusiasts are being swept out,” he writes. Last week, Australia rejected its Clean Energy Target (CET), a lengthy proposal that would have forced electricity utilities to rely on renewables and other low-emission sources for a substantial percentage of their production. The measure had been put forward as a way of complying with requirements of the non-binding Paris agreement. Earlier this month, the prominent Australian economist Judith Sloan wrote a scathing essay decrying renewable energy as the greatest “scam” being perpetrated against taxpayers and consumers, greater even than Ponzi, Madoff or Enron. While sinking enormous financial resources into propping up renewable energy prospectors, national governments are providing no perceptible benefits to their citizens, Sloan wrote. 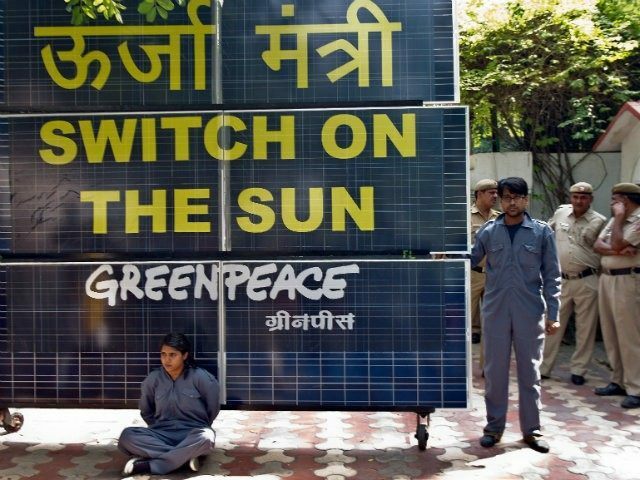 Apparently, Sloan’s arguments and those of like-minded analysts prevailed on policy makers, and the country rejected the CET with its taxpayer funded subsidizing of renewables. Germany, too, which has been a staunch proponent of anti-climate change regulations, has fallen “hopelessly behind in meeting its carbon targets,” according to a leak. The current state of affairs has not only undermined Germany’s climate policy, but also jeopardizes “Germany’s international reputation as a climate leader,” Solomon asserts. According to the analyst, popular opinion against German Chancellor Angela Merkel’s “Energiewende” (energy transition) policies, which had doubled electricity prices, played no small part in Merkel’s terrible showing in last month’s national elections. Costs of the ill-fated Energiewende now total some €650 billion, a bill that weighs heavily on the shoulders of German taxpayers. Late last year, to their national embarrassment, the Germans had to be bailed out of a small energy crisis by Poland when the wind failed to blow for several days and a thick fog surrounded many parts of Germany, driving the output from renewables to just 4 percent of total demand. It was coal-fueled Poland that had to rescue Germany from its self-induced energy crisis. “Merkel may now be unable to form a government without the support of the libertarian Free Democratic Party, which demands an end to renewables subsidies,” Solomon notes. And so around the world—except in Trudeau’s Canada—nations are once again turning back to inexpensive coal rather than pouring more money into costly “renewables,” and coal plants are being built at five times the rate that old plants are being decommissioned. This quiet revolution may simply be a welcome return to common sense and realism. After all, once the photo ops are finished and the politically correct accords are duly signed amidst solemn brow furling, political leaders must get back to the business of meeting the real needs of their citizens—which all depend on the availability of affordable energy.